The United Kingdom (UK) is one of the world’s largest economies, coming in fifth in the International Monetary Fund’s rankings. This is not surprising, as the UK’s economy is highly developed, with a focus on the service sector. The City of London is one of the largest financial hubs in the world. The history of traditional banking in the UK goes as far back as 1672, when C. Hoare & Co. opened for business. In a country where these financial practices are so ingrained, one might ask whether Bitcoin, with its decentralised monetary model, stands a chance? The introduction of cryptocurrency has been met with some official resistance in the UK. However, new developments hint that the country may be positioning to become a leader in fintech innovation. Bitcoin and other cryptos have met with some resistance from world governments and in the UK, the situation is no different. This resistance is evident even at the highest levels of government. In January of 2018, Theresa May, the current Prime Minister, expressed her views on cryptocurrency and the fintech industry in general. She noted that digital currencies need to be taken “very seriously” and are “something we need to look at.” This signalled her directive for state-level research into the crypto space to begin. A more extreme view was expressed by an opposition minister in March of 2018. The Shadow Home Secretary of the UK, Diane Abbott, labelled Bitcoin a “gigantic Ponzi scheme.” In an interview with The House Magazine, Abbott mentioned the “need” for regulation of Bitcoin and its “high risk of collapse.” Abbott is known for making strongly-worded statements, so whether her views are to be taken seriously by the British public is questionable. Also in March 2018, the Governor of the Bank of England, Mark Carney, also called for the regulation of Bitcoin and other cryptos. Carney that the same rules which govern fiat money should be applied to crypto, although it’s uncertain whether this is practicable. Carney expressed concern that Bitcoin could lead to financial instability issues due to its volatility. While not completely against cryptocurrencies, his additional concern is that financial crimes involving crypto will only increase with its further adoption. Regulation may be a safer path for the protection of the UK’s traditional financial institutions and government. However, this goes against Bitcoin’s role as a decentralised monetary system. Bitcoin empowers people with greater financial freedom but more regulation would only counteract this advantage. 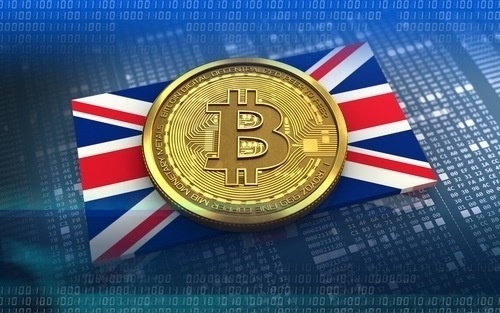 More recent statements from UK officials indicate that they may be reconsidering the role of cryptocurrency, becoming more receptive to its benefits. Although fears of heavy-handed regulation persist, British research into blockchain technology has begun at the state level. On the 19th of March 2018, John Glen, the Economic Secretary to the Treasury and City Minister, said that he wishes to establish the UK’s as a leading country for fintech and blockchain adoption. Therefore, the government will be implementing a “research effort” into the risks and potential of cryptocurrency. Not even a week later, the UK’s central bank, The Bank of England, and the country’s Financial Conduct Authority corroborated Glen’s statement. They say that their newly-created Cryptoassets Task Force aims to address the risks of crypto but also to advance awareness and adoption. Should this initiative lead government to a more-informed position conducive to passing sensible legislation, it’s likely that British financial institutions and its general population will flock to crypto. This might not be such a distant outcome either. In July of 2018, The Guardian reported on analysis by DAG Global, Big Innovation Centre, and Deep Knowledge Analytics. These research groups concluded that the UK is well-positioned to become a global hub in the crypto economy by 2022. This conclusion was based on half billion Pounds worth of investment into the blockchain space made by UK companies over the last year, as well as the strength of the UK’s traditional financial sector. Head to the Coinmama website and select the blue sign up tab. If you have an account already, you can just sign in using the relevant details. To purchase bitcoin, you first need to become verified with Coinmama. It’s necessary to upload your national ID, passport, and various other documents, depending on which level of verification you wish to reach. For more information on how to verify your account, click here. Once signed in and verified, head over to the “Bitcoin” tab in the top menu. Once there, you are directed to either purchase a set amount or to enter in your desired amount, up to approximately $5,000 (as of the time of writing). Supply your wallet address for where you want your bitcoins to be sent. Then select the *Proceed to checkout* button. Complete the form with your relevant details. Make sure that your card details, such as address, corresponds with the details you supplied for opening your Coinmama account. Finally, proceed to clicking on the “Pay now” button. Once your payment has been made, the order status will read, “In Process.” Your order is being processed by the card company. After a few moments the order will be processed, and the payment will be approved. Your wallet then needs to be confirmed. Within 20 minutes or so, you will receive your bitcoin. It may take a little longer if the blockchain is congested. Note: only VISA and MasterCard are acceptable forms of payment. Exciting times lay ahead for Bitcoin in the UK. While crypto-scepticism still plagues certain official, the vast level of investment and research being conducted bodes well for the future. We hope this guide has proven informative.